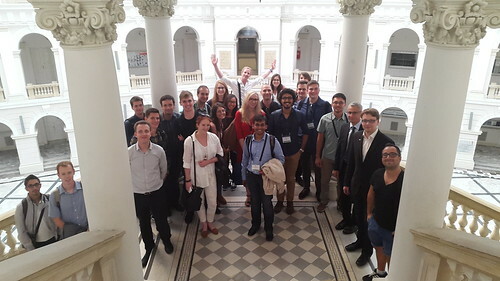 For over four years the DHC+ Summer School has brought together outstanding students and professionals from around the world to spend an intensive academic and networking week in a beautiful European city. The 2016 edition in Warsaw gathered 24 participants from 12 European countries in a thrilling week where they could combine theoretical knowledge on district heating and cooling with guided visits to a CHP plant, district heating dispatch centre, pumping station, district heating chamber and Heat-Tech Center. The 2016 Summer School was a great success and the feedback was excellent! This is in large part due to the hospitality and active involvement of the hosting entities (Veolia Energia Warszawa, PGNiG TERMIKA and Warsaw University of Technology), to the support of this year’s sponsor – Rockwool Technical Insulation, and to a very high degree of motivation of this year’s participants. The DHC+ Technology Platform and its Education & Training Working Group members are looking forward to the next edition of the Summer School and would appreciate all support and participation!